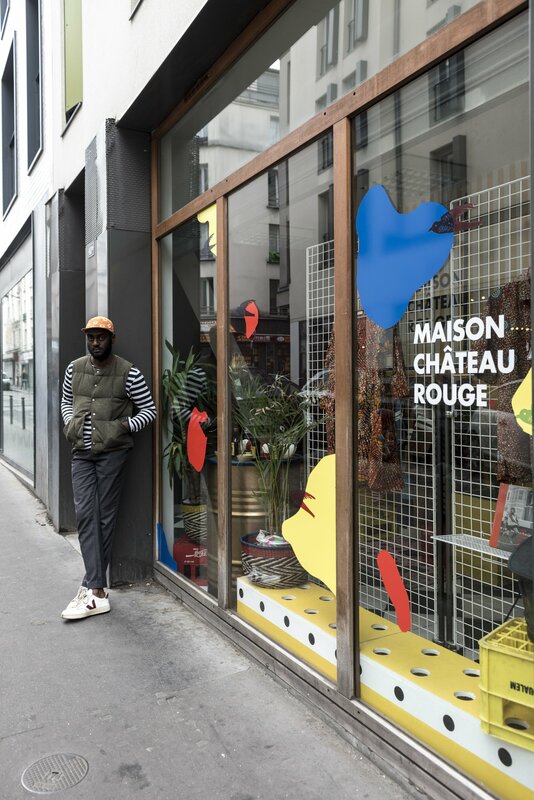 Monoprix makes a strong impact once again with its latest collaboration and thus confirms its status as a trendsetter by seeking out the young designer brand Maison Château Rouge. In total, about thirty pieces breathe life into the world of a global lifestyle with joyful and colourful African influences. Behind this name, which evokes a well-known district in the 18th arrondissement of Paris, is Youssouf Fofana. 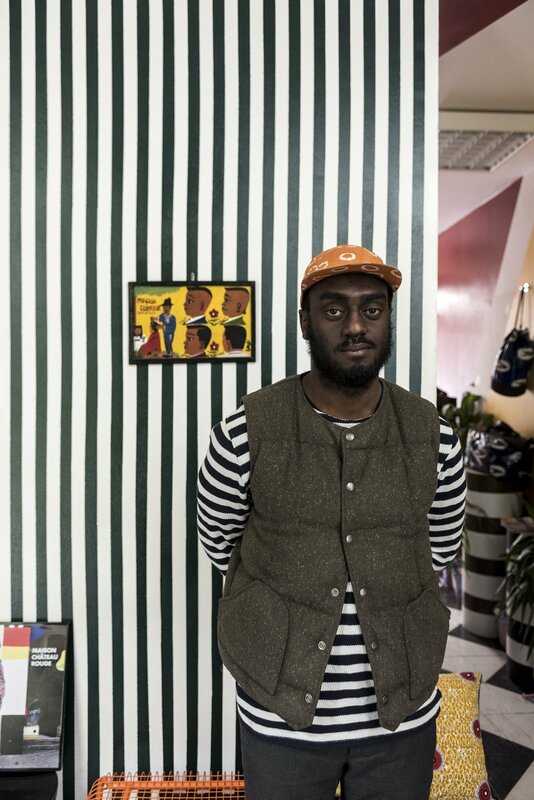 Not yet 30 years old and he is full of ideas to showcase the dynamism and richness of this small Parisian Africa. 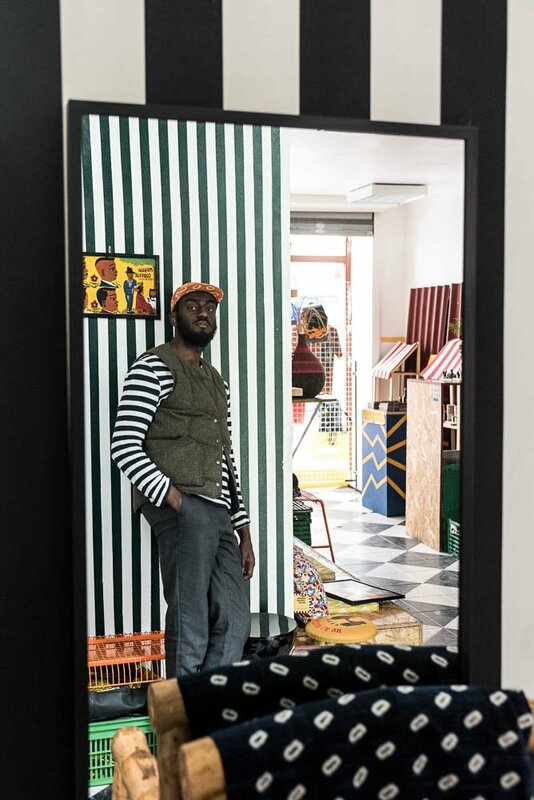 At 40 bis in La Rue Myrha, his shop with its graphic aesthetics in the style of Malick Sidibé is a real eye-catcher. Mixed colours stand out against striking walls with stripes in yellow, green and black. We immediately think of wax, the flagship fabric that Maison Château Rouge has made its signature. 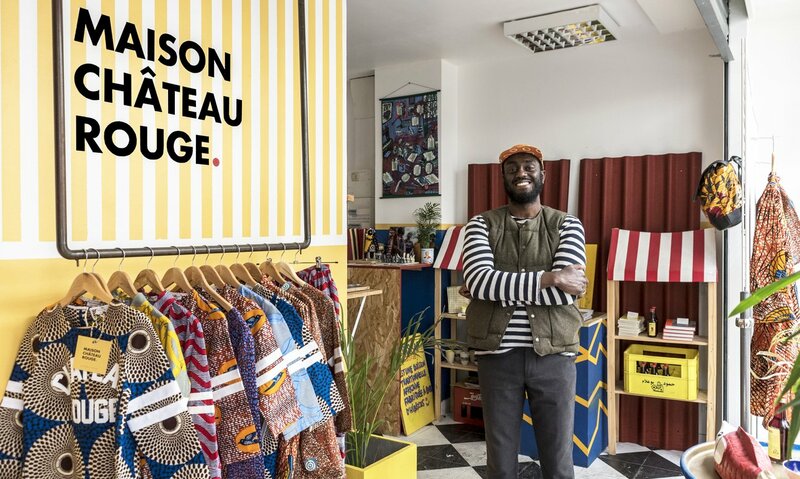 The material, purchased in full rolls from local artisans, brings together basic cuts with a streetwear touch, the inspiration for which Youssouf Fofana says comes from his contact with the Parisians he sees around him in the street. We find this trend, the fruit of the encounter between two cultures, in the “little market” that Monoprix and Maison Château Rouge have designed for us. And not only for women, but for the whole family and – this is a first – for the house! Youssouf Fofana, a workaholic, has indeed endeavoured to introduce us to all the treasures of basketry and naive art through a series of decorative objects – cushions, baskets and crockery. The Socialite Family is already confessing to having a crush on the plaited stool and its metal base, an essential for the balcony or terrace when you are dreaming of the sun before summer comes. To top it all off, we will even find Bana-Bana, “genuine Hibiscus tea“, the product with which everything began. The circle is complete. Collaboration Monoprix x Maison Château Rouge, available from Monday 30 April in a hundred Monoprix stores. Youssouf, can you tell us about yourself? What is your background? I was born in Villepinte, in Seine-Saint-Denis in Paris’s north-eastern suburbs, and I was the fourth son in a family of seven children. My parents came from Senegal. After studying for a banking diploma and spending two years in banking, I went to business school and then spent two years working for a web start-up before returning to banking and joining the IT department at Crédit Coopératif. Could you tell us more about your label, Maison Château Rouge? It’s a pop lifestyle brand, inspired by my African heritage, and which builds on deep-rooted values with a focus on social and economic responsibility. Maison Château Rouge is born of a desire to share African culture, to open it up and make it accessible. We have built a universe that symbolises the crossover between African and European cultures. To promote and discover a country or a continent, you need to travel and Château Rouge is Paris’s little Africa! We therefore wanted to pay tribute to this famous neighbourhood in the 18th district, which is the best illustration of the meeting between the two cultures. 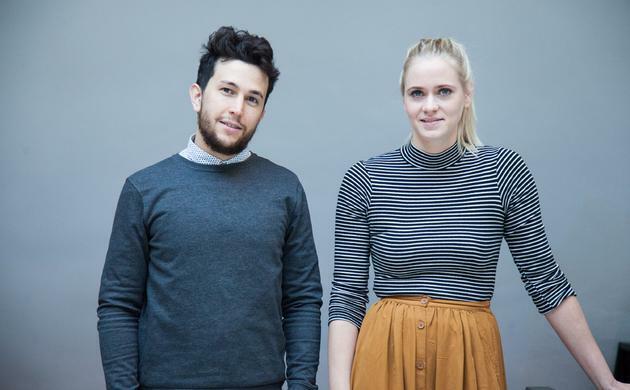 It is a Parisian brand with deep African roots. As a brand, it reflects me. It comes from my desire to show how our culture has evolved due to a new generation who, like me, are reapprorpriating African culture for themselves, reinventing it and exposing it to other cultures to share it with the rest of the world. Then, we also wanted to pay tribute to Africa’s traditional cloth merchants who have always sold African fabrics, long before they became trendy. That’s why we source directly from them: we want to engage with local businesses and help to regenerate the neighbourhood. What is your link with your charity, Les Oiseaux Migrateurs? The brand forms part of this social project. I launched the charity in 2014 with my brother, Mamadou. The aim is to engage collaboratively to help small African businesses grow by improving and exporting their product ranges. We want to be enable them to benefit from their enthusiasm and the growing interest in the continent. 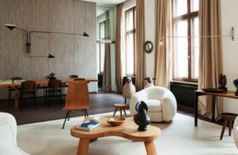 In a wider sense, the aim is to show a new image of Africa while retaining its authenticity. Most children of African immigrants are engaged to help their ancestral villages grow. But, unfortunately, this charity only responds to basic needs and does not enable sustainable social and economic development. There are real challenges that need to be overcome, such as youth unemployment, processing of raw materials and the export of finished products. One of the major problems faced by local businesses is the fact that they export raw materials without processing them, i.e., without adding value. To encourage this kind of export, you need to raise awareness of African lifestyle and culture among the foreign population. Fashion is an excellent way to achieve this. This was the background to Maison Château Rouge‘s decision to join the project, and this was the task that we set ourselves. The Socialite Family is already confessing to having a crush on the plaited stool and its metal base, an essential for the balcony or terrace when you are dreaming of the sun before summer comes. Who were you thinking of when creating your collection? Who inspires you? For the fabrics, I thought about my mother and her wardrobe. She always wore waxprint. As for the cut of the clothes, I was thinking of the typical Parisienne woman you meet in the street. Then, I’m originally from the suburbs so I definitely had a major streetwear influence and, when you mix it all up, I eventually had loads of ideas to create from. Then, today with Instagram, I have an infinite mood board where I can constantly find inspiration from the four corners of the world. 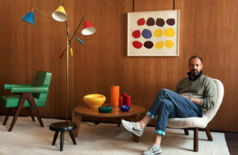 Tell us about the collaboration between Monoprix x Maison Château Rouge. With Monoprix, we were lucky enough to define the world of Maison Château Rouge beyond simple clothing. Conceived as a small marketplcae, this collection brings together the richness and depth of the Parisian district and the African continent. We were inspired by a number of our own reference points on the African continent, such as waxprint, indigo, basketry, and naive art. We put together a line of fashion and home decorative items that reflected who we are: starkly graphical, urban, pop, and colourful. There are clothes for men and women and, in a departure for us, children as well, and decorative items with stunning drums, crockery, and stationery. It’s a fantastic opportunity for us. It allows us to express ourselves and show the wider world what we are about. Fashion and interior design, and even food, with red hibiscus juice that is so special to you: what did you enjoy creating the most? Isn’t it too difficult to keep so many plates in the air? Everything! I’m a creative glutton. I love creating, imagining, reinventing things, and I really enjoyed putting everything together. It’s a real challenge that we managed to meet with the team. It’s what drives me the most and it’s the pleasure that I feel when I have a new idea and everything falls into place. Finally, it’s not that difficult to keep so many plates in the air because all I am doing is sharing part of who I am. So I do what comes naturally. For Bana-bana, the hibiscus juice, the project is our starting point with Les Oiseaux Migrateurs. We have split the work among ourselves: my brother takes care of the food aspect and the charitable project as a whole. That leaves me time free to create. “Bonjour La Vie” Plate – Monoprix x Maison Château Rouge. Who do you spend your time with when creating all these products? 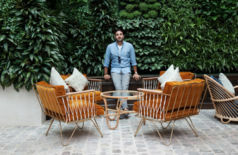 As part of this collaboration, we went to Mumbai in India to put together part of the collection with the Handicraft creative co-operative, which is a Monoprix partner with a ten-year history of working together. For the hibiscus juice, we worked with cooperatives in the Thies and Kaolack regions of Senegal. They specialise in cultivating and picking hibiscus flowers. The processing and bottling are then done in Dakar by an SME with only twelve employees. Did this experience make you want to diversify the Château Rouge range, which had exclusively been fashion up to that point? Totally! The label had been conceived as a lifestyle brand from the outset, and this collaboration allowed us to take things to the next level. And ultimately, more quickly than expected! With the explosion in your brand’s popularity, will you be even more closely involved in the Château Rouge neighbourhood? Yes, obviously! We have always been proud of putting the neighbourhood at the forefront of what we do, putting forward a new image. 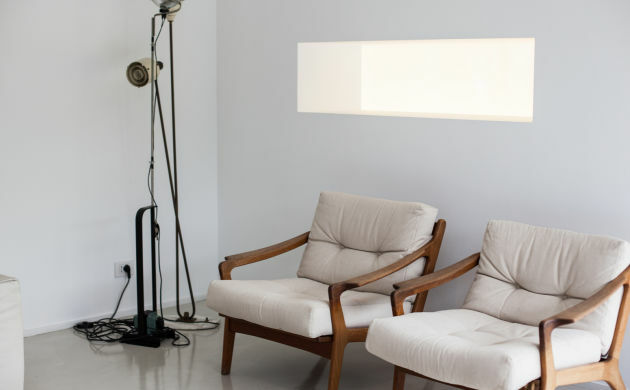 We are also highly involved because we have worked with retailers in the neighbourhood from the outset, and we have now started working with local designers to create decorative objects as well. This will enable us to make a much bigger impact by increasing the number of partners and, thanks to a higher profile, we hope to make even more people visit the neighbourhood so that they can all discover how richly dynamic it is. Our collaboration with Monoprix was a major project for the year. This summer, we plan to organise a mini festival, “Le Maquis” to highlight all the projects that we are running with Les Oiseaux Migrateurs. Do you have any favourite destinations you’d like to share with us, to help us explore Africa in Paris? Les Délices du Sacré Coeur as a Senegalese restaurant. La Table Ouverte, is a great family restaurant, which is perfect for couscous or to take a break and drink some tea. La Régulière, where you can buy a book, drink some fruit juice or have a coffee. Sawa Shoes, to buy shoes that are actually made in Africa. Connivences, for a cutting-edge shopping experience. 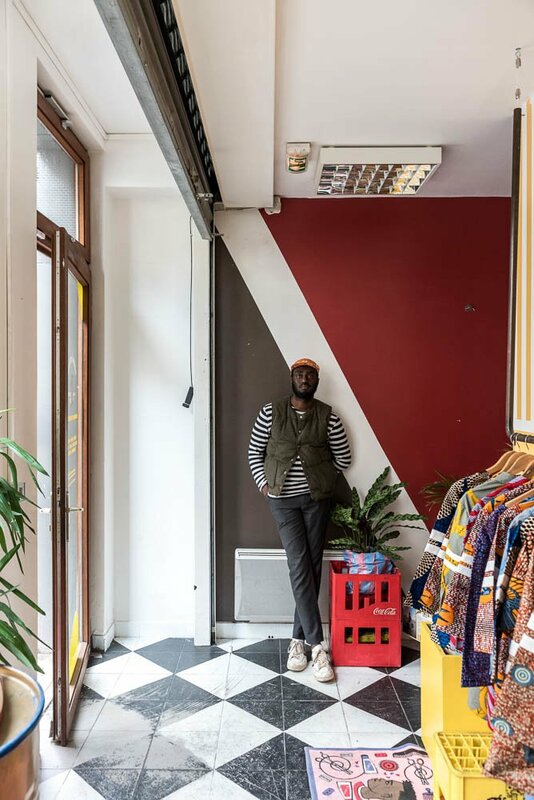 Calebasse d’Afrique, an African dry goods shop. And, finally, Kumasi Market to buy waxprint fabrics!